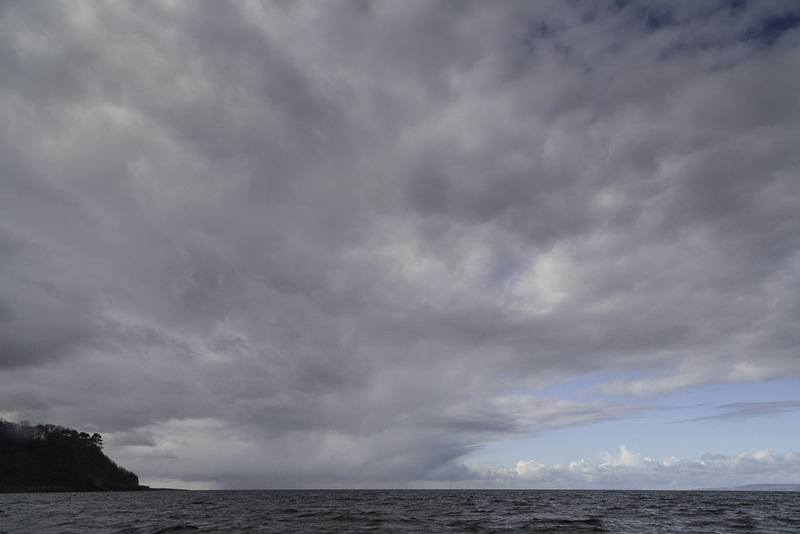 Sea kayaking with seakayakphoto.com: Rain squalls over Ailsa Craig. Rain squalls over Ailsa Craig. 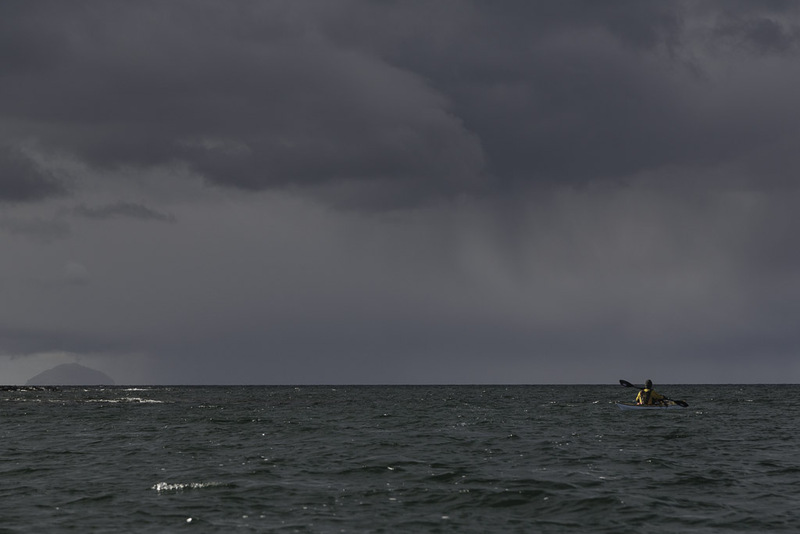 ......the squall gradually cleared and we continued south under lightening skies. 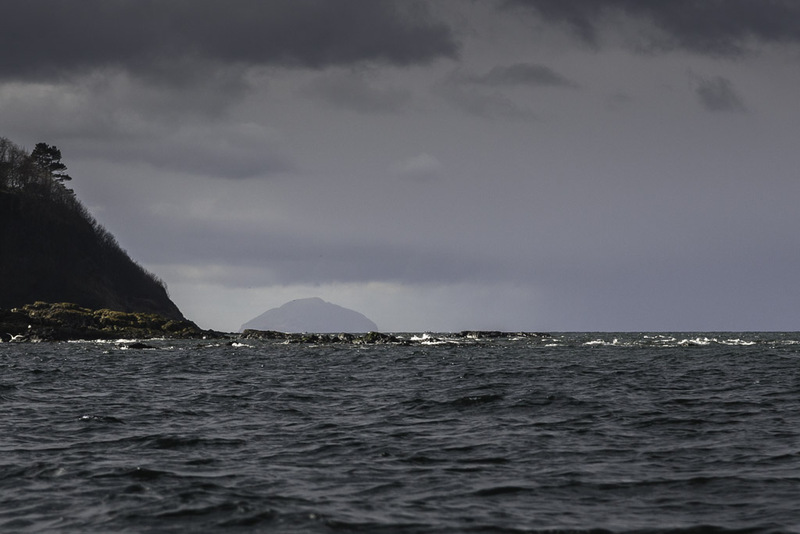 Ailsa Craig normally dominates the views of the mouth of the Firth of Clyde and it was good to have it back again. 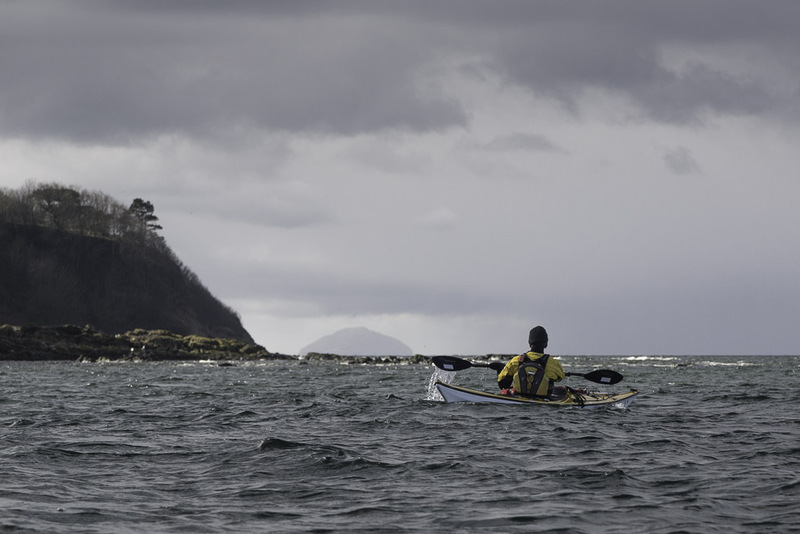 I hope to paddle there again soon but as it is 16km from the nearest part of the mainland it is an exposed paddle. You need to be quite fit in case unexpected squalls blow in so Phil and I pressed on into the southerly wind. Each stroke was another step on the road to recovery of paddling fitness.